Zidane On Stand-By, Manchester United Playing Cautious? Manchester United may be playing with fire. The side had a mixed weekend, as 10 minutes into their Old Trafford game against Newcastle United already looked like a familiar picture – another loss against a team in the relegation zone. While they did manage to engineer a comeback for the highlight reels, a 3-2 scoreline gleaming at full-time, the bigger woes are still out there. At the heart of this worry is the future of Jose Mourinho, with reports going into the fixture stating that he would be sacked this weekend. While those claims have been since refuted by the Mancunian giants, the latest speculation doesn’t bode well for the Portuguese tactician either. 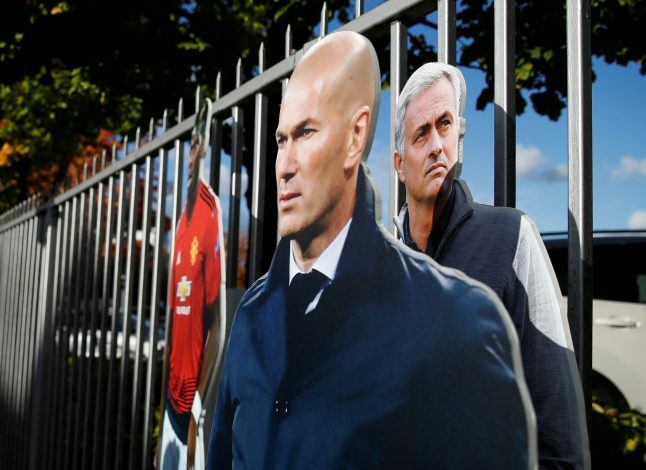 As per an exclusive by Mirror, Manchester United have put Zinedine Zidane on standby, expressly asking him not to take any other job, as the Frenchman is United’s no.1 choice to replace Mourinho in the event of a sacking. If this sounds familiar, then memory has served you right, as this was the exact scenario that had played out resulting in Mourinho getting the top post at Old Trafford. Then gaffer Louis van Gaal was putting in mixed results despite spending heavy, and the FA Cup wasn’t enough to save the Dutchman, as he was sacked and Mourinho duly took over. In that case, the club-less gaffer was expressly told not to take on any commitment. It is clear that results like the ones on Saturday are the reason why Mourinho hasn’t been axed already. The board seems eager to wait the season out before making their choice, and may not wish to lose out on the services of Zidane. However, things may not play out all too well for them either, as the Frenchman, fresh off a consecutive three-year Champions League haul at Real Madrid, having willingly left his job, is not exactly the same as Mourinho, who was then sacked by Chelsea following a pathetic title defense.